Over the past three and a half months I have bought books, non-stop. My addiction to young adult fantasy & romance, thriller, and adult romance has gotten me to about 20 books alone through Amazon. 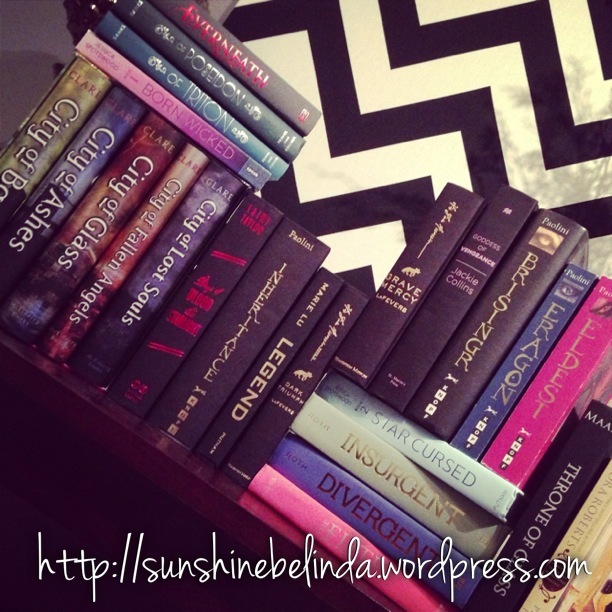 I absolutely have to have hardcover books. The sturdiness allows me to not have to worry about the creases in the spine of the books and slightly worn edges. I know that it sounds a bit obsessive-compulsive, but I promise you I am not. I just happen to like it clean and neat. 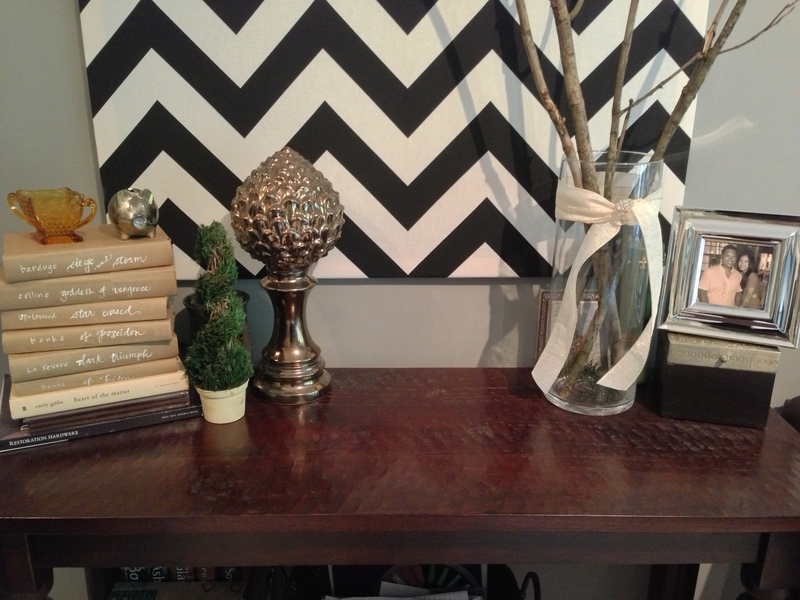 So to make it seem even more crazy, I gently put away the mint book sleeves in a stack, tucked away behind more books. 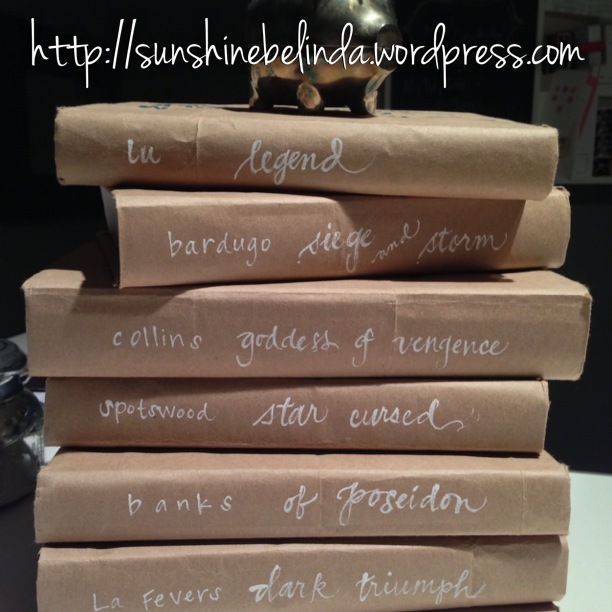 Then I grab some paper brown bags, and start making book covers for the ones I have bought to read. 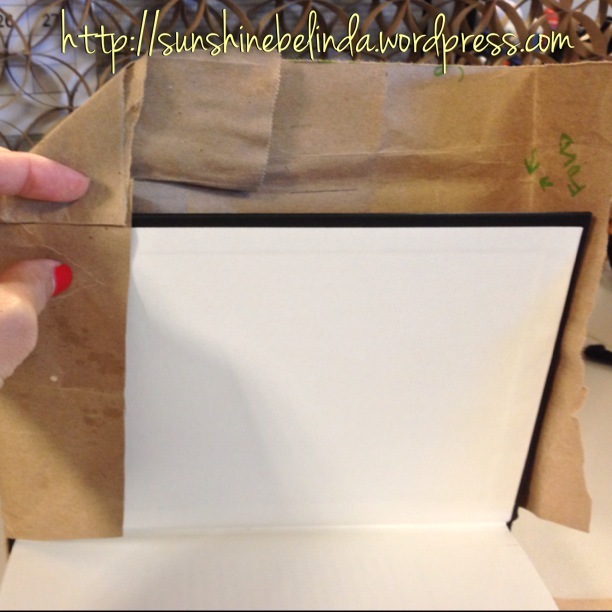 I use brown paper bags as book covers; and use a white chalk pen on the side to make it look pretty! 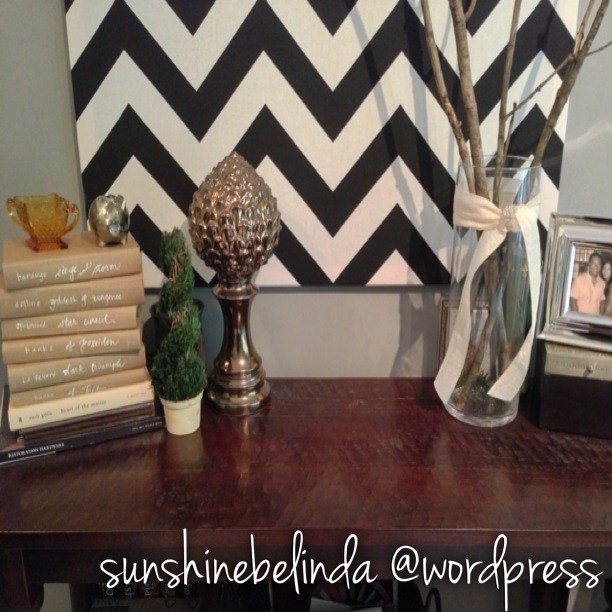 They have a dual purpose: on the one hand, it protects my books from the shine, and on the other hand, it makes for beautiful art on my table console. I cannot help but smile at what I’ve accomplished and the finished product. 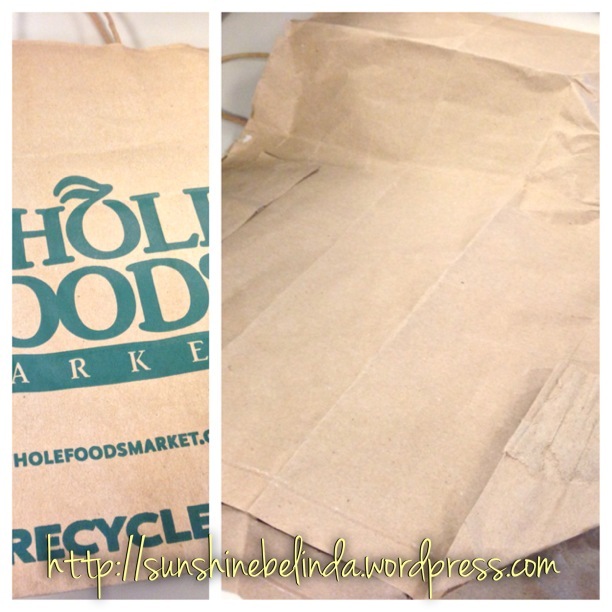 I tore open the brown paper shopping bag, where the enclosure is met. I laid down the book, and cut off the excess paper that is not needed. 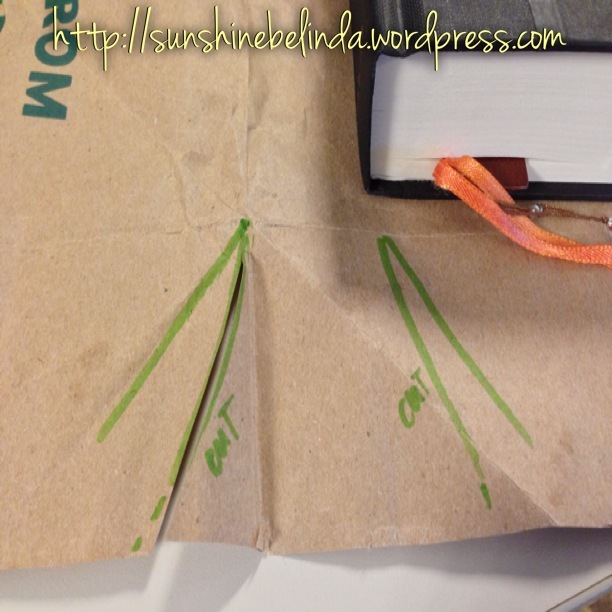 I folded the paper at the spine, and marked where I need to make a small angle cut. 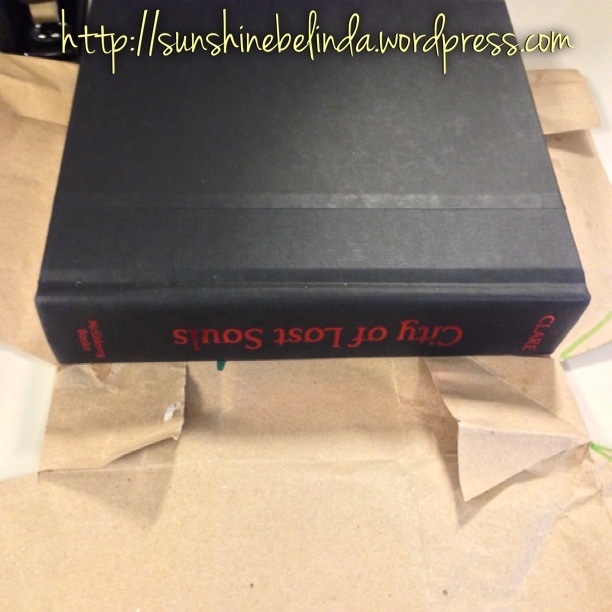 The cut I have made above is necessary for enveloping the front and back of the hardcover books. Afterwards, I folded down the left and right side of cuts (seen in the picture above) I have previously made. 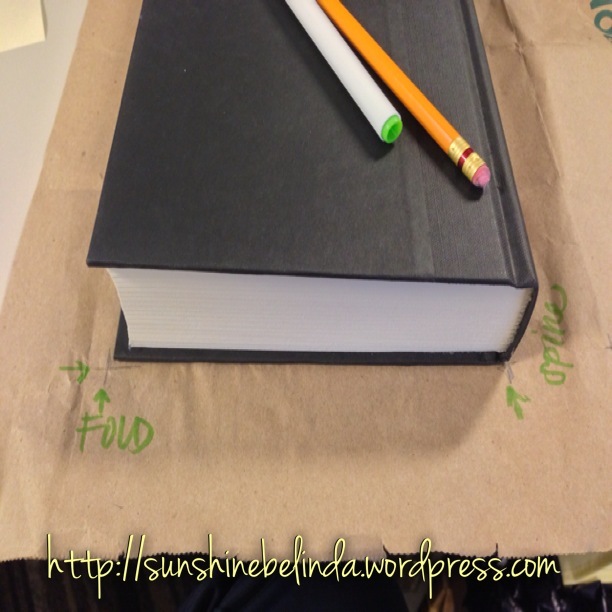 The fold should meet where the book fits. Now you have pentagon like shape that is formed. I removed the book, flipped the paper over, and saw where the two lines I have folded for the spine. 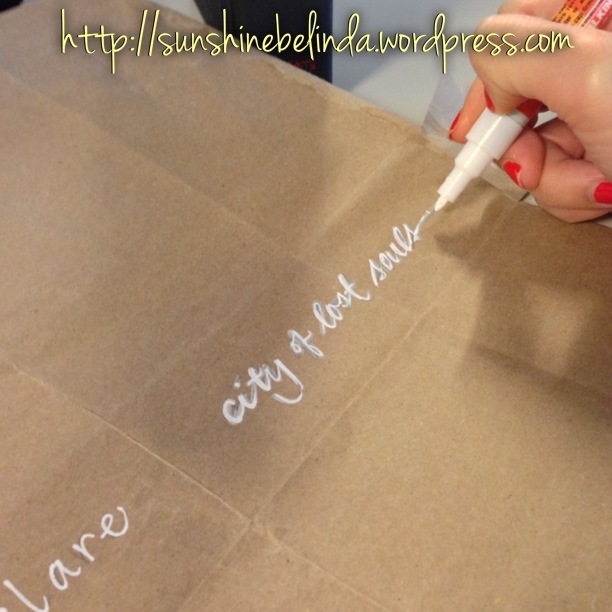 I quickly used a pencil to see where I would write the letters in white chalk maker (just to make it centered). Then I flipped the cover back where you can see the exposed pentagons, and placed the spine book on top of the pentagons. 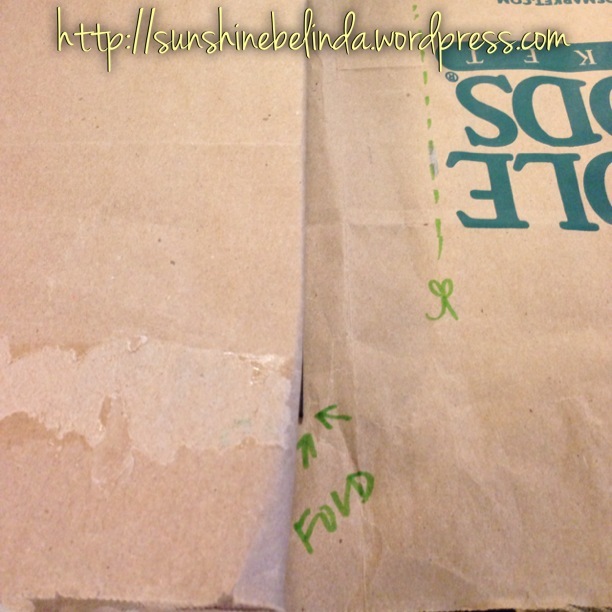 I opened one side of the book flap, and folded the brown paper on one side over, and I did the same to the right side. Then I folded the top left and right corners where the book flap meets at the edge, and folded down, to give it a neat look. 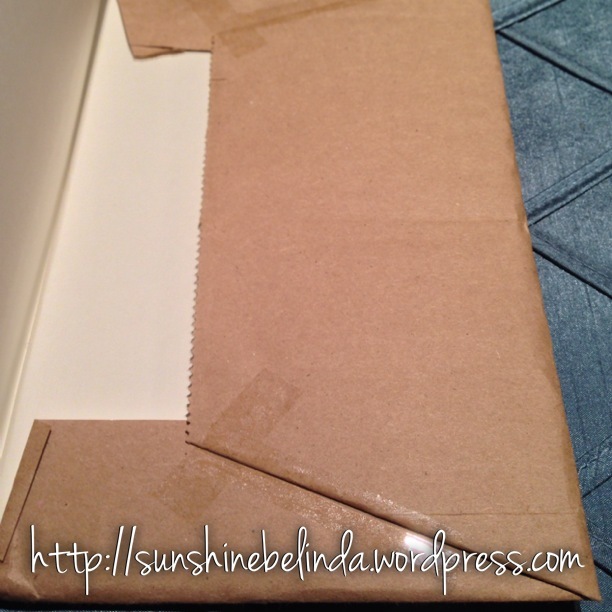 These neat look, is where you will need to tape down the folded corners to prevent the covers from unraveling. 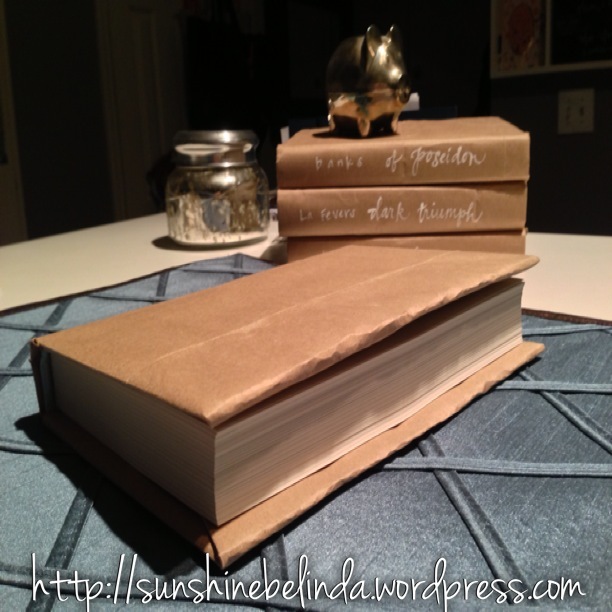 Now if you do this with a lot more books, you’ll have a nice collection of covered books that can be neatly displayed on a table or on a bookshelf. It makes it more uniform and unique, and truly art to be displayed. – I used to cover my school books all the time back in high school and college. More importantly, the college books were expensive! If I kept the book in great condition, the more money I’d get back.